According to research published in the Journal of Agricultural and Food Chemistry, red wine contains antimicrobial elements that were found to help kill bacteria in simulated lab tests. Cavities, gum disease and tooth loss are caused by the accumulation of bacteria in the mouth. Together, they form ‘biofilms’ — communities of bacteria that turn into plaque, produce acid, and are difficult to kill. They found that red wine — whether with or without alcohol — and wine mixed with grape seed extract were likely to get rid of the bacteria. Scientists said the active ingredient was a group of compounds called proanthocyanidins, chemicals rich in antioxidants that are found mainly in grape skins. Researchers say their findings could be used to harness the cavity-fighting powers of red wine and incorporate them into products like mouthwashes and toothpaste. 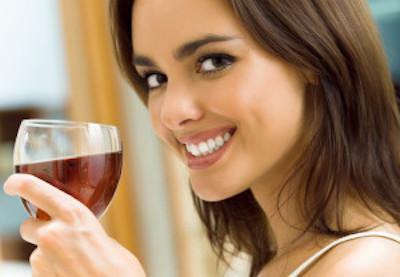 However, downing glass after glass of red wine won’t help you reap the dental benefits of these compounds. Keep in mind that red wine is also known to stain teeth. To avoid permanent stains on your pearly whites, drink sparkling water and eat high-fiber foods to loosen and scrub off the wine before it has a chance to stain. Skip the acidic white wine, which tends to act like sandpaper and strips teeth of their protective coating. Are you thinking about improving your dental health that can help you keep smiling?